Orders are now being taken for the 2019 Ford Focus Active in Europe in both station wagon and hatchback form. Continuing tariffs, though, are keeping it out of the United States for now. 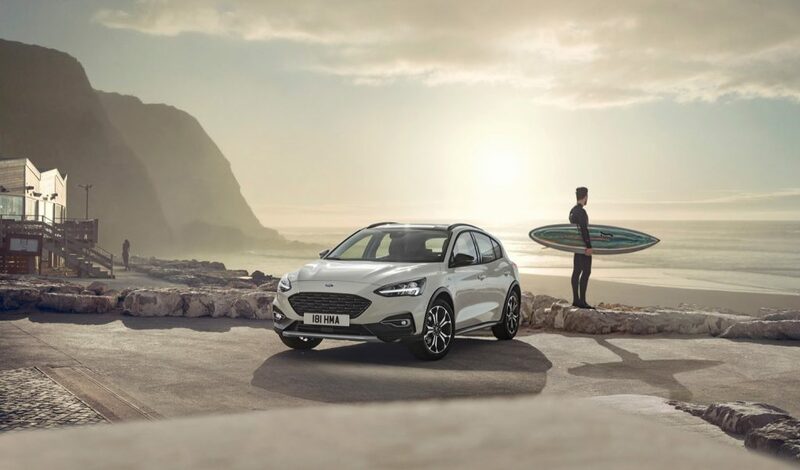 The Focus Active is the third in Ford’s new family of Active crossover models, following the introduction of the all-new Fiesta Active and new KA+ Active models earlier this year. None of these models will be sold in the United States. Back in August, Ford announced the Focus Active was going to be canceled in the United States due to the ongoing trade war with China. Even though it is being built in Germany, Ford execs have said the tariffs have hit the bottom line too hard to justify importing the Focus Active to the U.S. The current Ford Focus ended production in May 2018. Equipped as standard in five-door and wagon body styles with Ford’s short long arm (SLA) independent rear suspension configuration, the Ford Focus Active chassis features unique springs, dampers, stabilizer bars, and front and rear knuckle geometries, alongside a ride height raised 1.2 inches in the front and 1.3 inches in the rear over the standard Focus. The SLA system features an isolated subframe that delivers a balance between front and rear compliance over larger bumps in the road. Powertrain options include fuel efficient 1.0-liter EcoBoost and 1.5-liter EcoBoost gas engines delivering up to 180 horsepower, and Ford’s 1.5-liter EcoBlue and 2.0-liter EcoBlue diesel engines delivering up to 147 horsepower – combined with six-speed manual or eight-speed automatic transmissions. Front and rear bumper designs are also unique to the Focus Active variant, as are silver-finish front and rear skid plates, and alloy wheel designs. A dark grille with unique mesh pattern features a dark surround, echoed by the protective cladding that flows from the front bumper lip, through the wheel arches and side profile to the rear. Trail mode, which helps maintain momentum on soft surfaces such as sand; adjusts anti-lock braking to allow greater wheel slip; configures traction control to allow higher wheel spin that cleans sand, snow or mud from the tires; and delivers a more passive throttle response. Stay tuned to Ford Authority as we bring you the latest Ford news and Focus news.